Do you know an incredible military child? 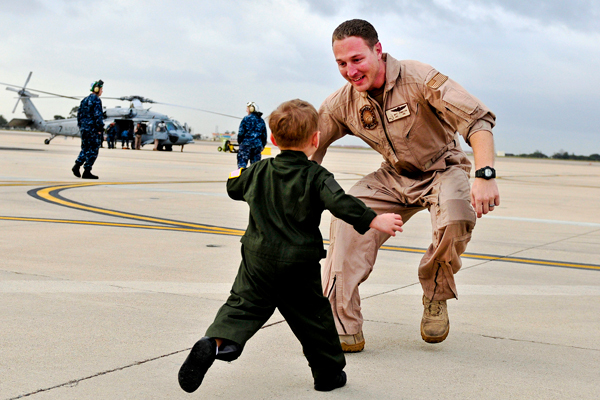 Operation Homefront’s 2015 Military Child of the Year® competition is now open for nominations. One winner will be selected in each branch- Army, Navy, Coast Guard, Marine Corps, and Air Force. The nominee must be between the ages of 8-18 at the time of nomination and must be a legal military dependent. Anyone can nominate a military child, including the child’s parents and family members. Last year’s Air Force winner, Gage Dabin, was a varsity athlete, maintained a 4.0 GPA, and comes from a family rich with military service. Both of his great-grandfathers, his grandfather, his cousin, and his uncle have honorably served in various branches of the U.S. military. Nominations close on December 12th, and the winners will be presented on April 16, 2015 at a special gala.